Phil Ivey Wins 10th WSOP Bracelet in Event #50: $1,500 Eight-Game Mix ($167,332)! History was made late Friday night as Phil Ivey claimed his 10th World Series of Poker gold bracelet. Ivey rose to the top of the 485-player field in Event #50: $1,500 Eight-Game Mix and ultimately defeated Bruce Yamron heads up to claim the title and $167,332 in first-place prize money. As the WSOP celebrates 10 years hosted in the halls of the Rio All Suite Hotel and Casino, it's only fitting that one of poker's most celebrated characters claimed his historic 10th championship bracelet. Ivey joins the likes of fellow 10-time winners Doyle Brunson and Johnny Chan. While Ivey seemingly plowed through the day, things weren't always easy on his path to glory. The day began with 14 players returning to the felt with the hopes of winning the 50th event on this summer's schedule. Ivey came into the day third overall in chips and seemingly became a magnet for chips early on in the day. Players like Devin Looney, Christian Pereira, Yehuda Buchalter, Amnon Filippi, and Abdel Hamid all fell during the early stages of the day. 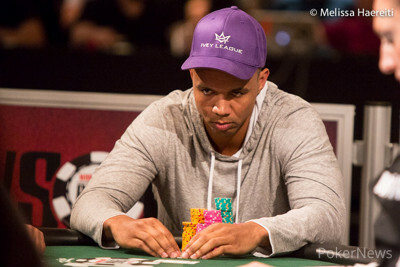 All the while, Ivey rose to the top of the chip counts and left his opponents in the dust. Six-time bracelet winner Daniel Negreanu fell in ninth place, allowing the field to re-draw to the unofficial final table of eight. When the two remaining tables combined, Ivey held a significant chip lead over his competition. Shortly after the redraw, Alex Rocha became the official final table bubble player when he fell by the hands of Dan Heimiller. Christoph Haller was the first casualty of the official final table, eliminated during a round of limit hold'em. Haller was eliminated by Yamron and collected $15,720 in prize money. Yuebin Guo followed Haller out the door in sixth place, unable to catch up to Heimiller during a hand of stud eight-or-better. After a lengthy five-handed match, Stephen Chidwick was the next player eliminated. On Chidwick's final hand, he went head-to-head with Ivey in a hand of 2-7 triple draw. By the final draw, Ivey tabled an eight-perfect, leaving Chidwick drawing thin. He was ultimately unable to get there and was forced to settle for a fifth place finish. The battle continued four-handed with short stacks doubling several times and the chip lead changing hands. All of the while, Ivey relentlessly clawed back toward the top of the counts. Eventually, the four-handed match came to a head when 2011 WSOP bracelet winner Aaron Steury got the rest of his stack in against Heimiller during a hand of limit hold'em. Heimiller flopped top pair and left Steury drawing looking for a queen on the turn or river to stay alive. He did not find help on the final streets and was eliminated in fourth for $44,286. Heimiller was the next to go, finding elimination by eventual champion Ivey during a no-limit hold'em round. A short-stacked Heimiller open-shipped from the button and Ivey called out of the big blind. Ivey flopped top pair and there was no looking back for the the nine-time champion. Heimiller collected $66,246 for his finish and left Ivey and Yamron to go heads up for history. Ivey began heads up play with a slight chip disadvantage but gained the chip lead on the very first hand. From there, Ivey dominated an entire round of seven-card stud, winning most of the pots and pulling ahead by a significant margin. Despite doubling up once, Yamron was never able to gain any footing against Ivey. The match finally came to a head during a round of Omaha eight-or-better. On the final hand, Yamron's chips went in on the turn with two pair only to find that Ivey held a better two pair. Yamron failed to improve and he was eliminated in second place for $103,375. The rest, as they say, was history. 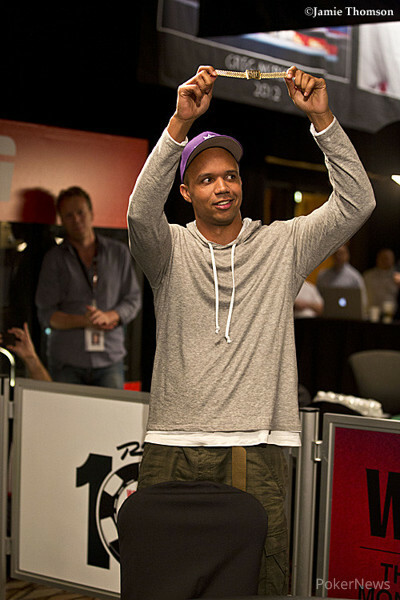 PokerNews extends its deepest congratulations to Phil Ivey for claiming bracelet #10. That does it for our coverage of Event #50: $1,500 Eight-Game Mix. Be sure to check out our Live Reporting page for live updates from all of the remaining events at the 2014 WSOP. Goodnight! 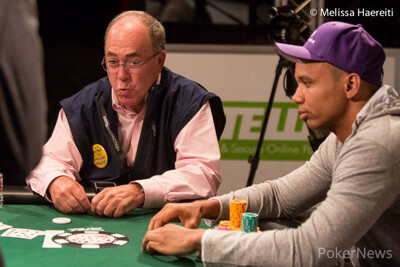 Bruce Yamron raised on the button, Phil Ivey called from the big blind and the flop fell . Ivey led out, Yamron raised and Ivey called to see the turn. Ivey fired again, Yamron raised all in for 150,000 and Ivey called. Both players had two pair, but Ivey had the better of it with aces and kings to Yamron's aces and sevens. Yamron had outs for a low, too, but the river was no help, ending his run in second place for $103,375. Phil Ivey raised from the button and Bruce Yamron called from the big blind. The flop came down and Yamron checked. Ivey continued out for a bet and Yamron called. The dropped down on the turn and Yamron checked again. Ivey fired out, Yamron came over the top with a raise and Ivey quickly made it three bets to go. Yamron called and the finished off the board. Yamron checked, Ivey bet, and Yamron let it go. 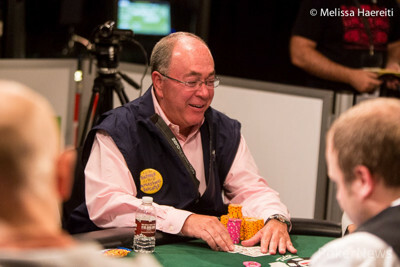 Bruce Yamron was the bring in and Phil Ivey completed. Yamron called and the two were off to fourth street. Yamron check-called a bet on fourth and check-raised on fifth. Ivey flatted fifth and came out with a bet on sixth when he paired his tens. Yamron called all in and the hands were turned over. Ivey's tens were in the lead and he needed to fade Yamron improving on seventh to clinch his tenth bracelet. Ivey pulled the on seventh and Yamron squeezed out the , pairing his queen and securing him the double. Yamron now has about 560,000 in chips while Ivey has dropped to 1.624 million. Bruce Yamron was the bring in and Phil Ivey completed. Yamron called and the two were off to fourth street. Ivey fired out a bet and found a call. He led again on fifth street and Yamron opted to let it go. A couple of hands later, Yamron brought in with a trey and Ivey completed with a nine. Yamron raised and Ivey quickly made it three bets. Yamron called. Ivey fired out on both fourth and fifth and Yamron folded his cards on fifth street. With this hit, Yamron is down to just 290,000 in chips to Ivey's 1.894 million. 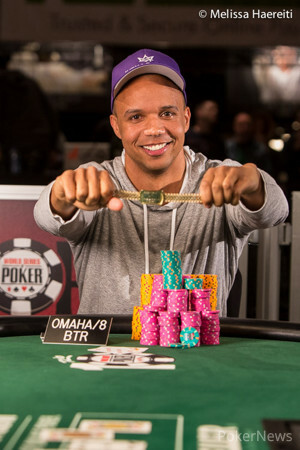 Phil Ivey was the bring in and Bruce Yamron completed. Ivey cut out a raise and Yamron called. Ivey continued out with bets on fourth and fifth street only to find calls from Yamron. On sixth street, Yamron had first action. He came out with a bet only to have the nine-time WSOP bracelet winner come over the top. Yamron called. Yamron checked seventh, Ivey fired out, and Yamron called. Ivey rolled over for trip deuces, eliciting a muck from Yamron. Ivey picked up the pot and has extended his lead to 1.664 million to Yamron's 520,000. Phil Ivey had the button. He raised the action to 50,000 only to find a three-bet to 170,000 from Bruce Yamron. Ivey four-bet shipped all in over the top and Yamron let his cards go. Ivey picked up the pot and took the chip lead with 1.264 million. The players are taking a five-minute restroom break.